A raster database of the average height of buildings above the ground (DHM) or average elevation above sea level of buildings and structures (DEM). The data layer is computed using the 3D Building Vector Model. 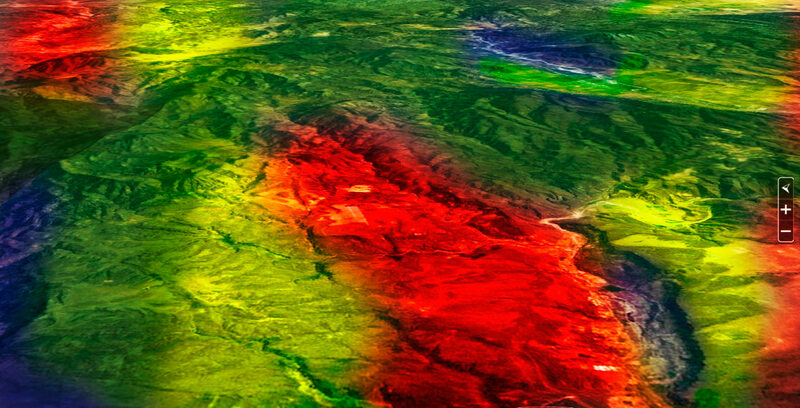 The 3D model is derived from high resolution aerial photography, WorldView 1 or 2, GeoEye 1and/or QuickBird satellite imagery (15 – 60cm nominal resolution; maximum cloud cover 0 – 10%). We select the most recent and cost effective sources and specifies these in the commercial offer. 1. 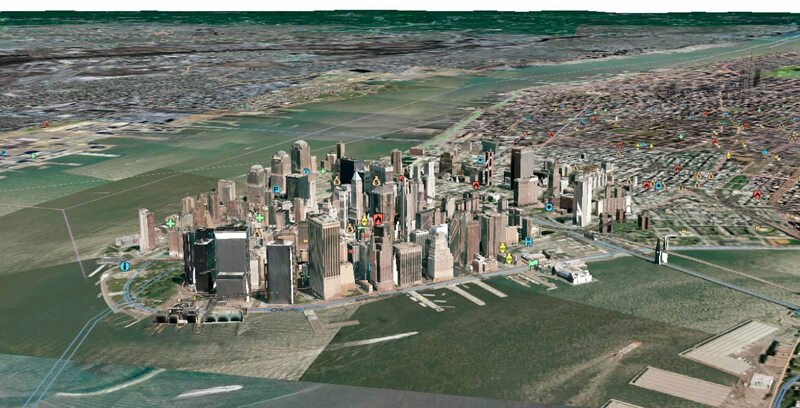 DHM: Digital Height Model representing only the building heights. Outside the building outlines, the model will have zero or null value. A raster database of ground surface elevation derived from stereo photogrammetry augmented by contours, stream lines and spot heights from large-scale topographic mapping. A geometrically corrected 1 meter resolution satellite image. 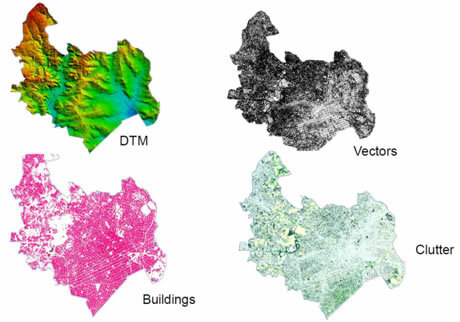 A vector database of transportation corridors (road width > 5m) and water features derived from satellite imagery and large-scale topographic maps. 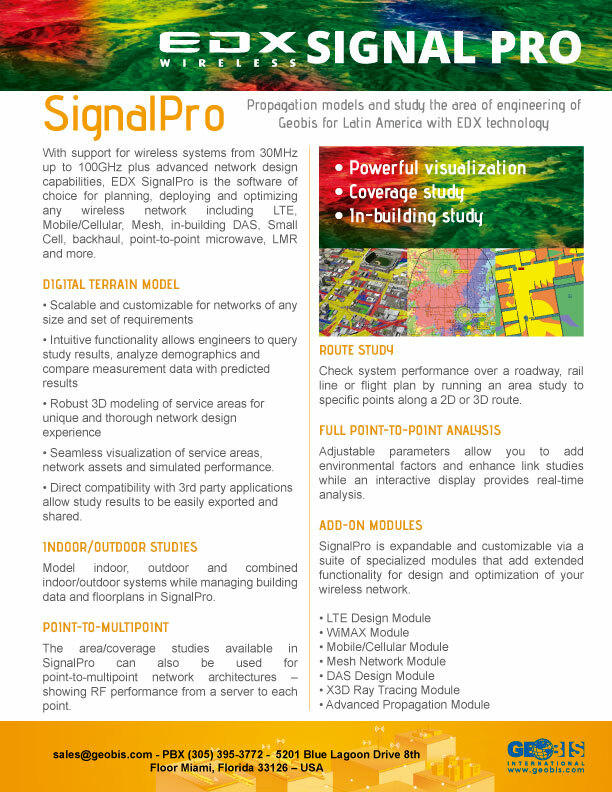 The Models are suitable for3G/4G Planning, Micro-cell planning, Vertical positioning of field measurements, Line of Sight (LoS) computation, Diffraction-based algorithms, Empirical, semi-deterministic and ray-tracing models. » Coastline, Double rivers, Single rivers, Inland water, Highways, Main roads, Secondary roads, Railways, Runways, Major streets, Streets. » predicted location of a pixel and the value actually observed expressed in meters. 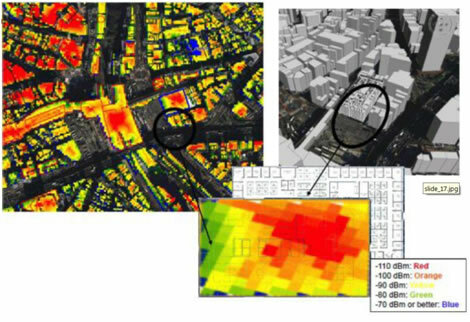 » No other sources than those used to create the Geodata can be used to challenge clutter accuracy.